And so, when I’m not weeding, pruning, mulching or planting, I, the inn gardener, delight in photographing and writing about the goings on around the grounds of our country inn of imagination. I was thinking about what Sir George Sitwell wrote in his ESSAY ON THE MAKING OF GARDENS back in 1909. 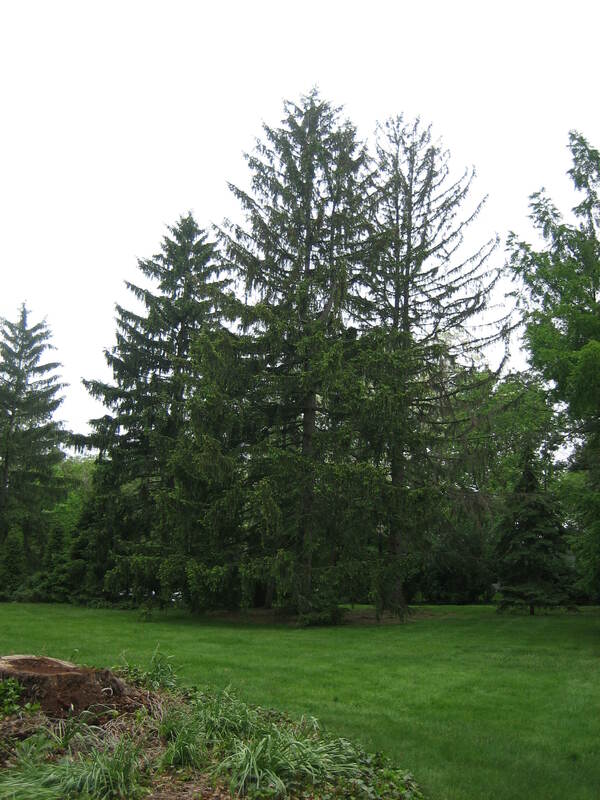 He wrote “To make a great garden, one must have a great idea or a great opportunity.” Well, I do have a great opportunity here for the grounds are blessed with very mature trees and shrubs. Such materials formed over time are precious and create a foundation that is worth its weight in gold for any gardener. 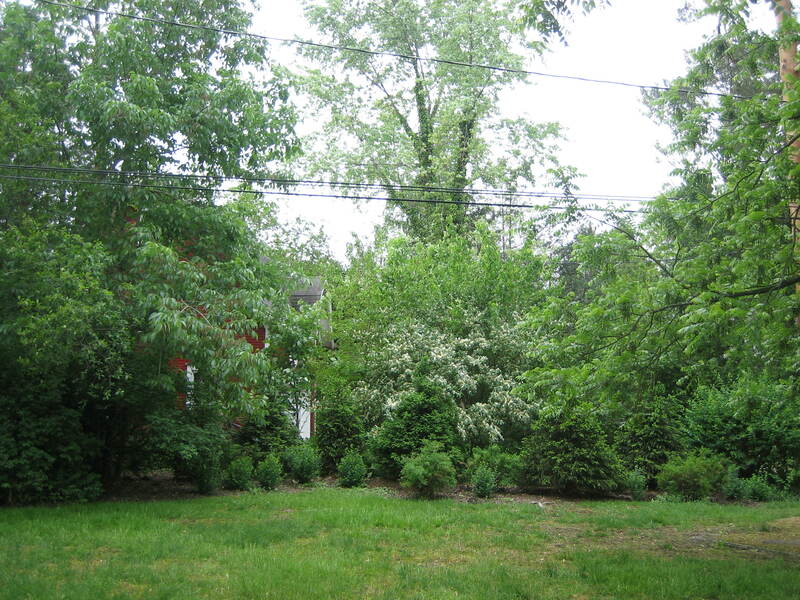 There are tall trees and evergreens shielding the front yard from the street. 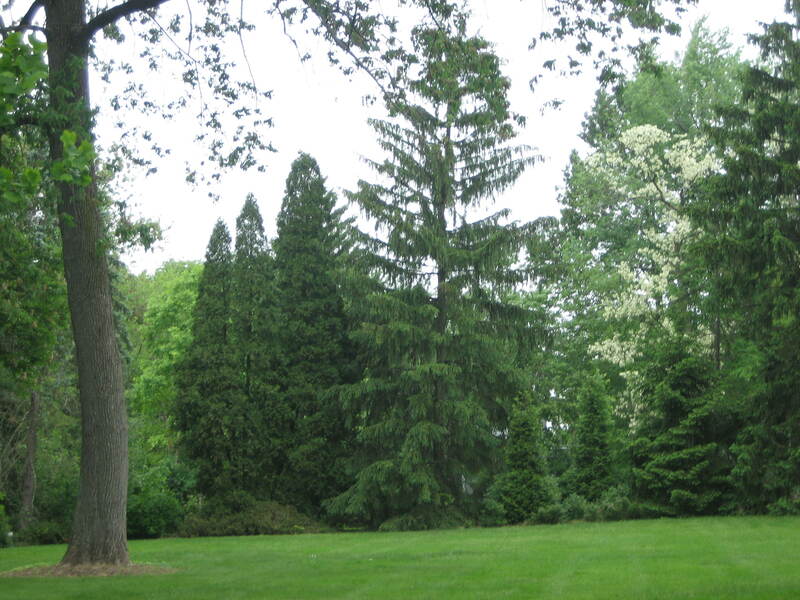 The entire perimeter of the grounds are edged by tall trees of one sort or another. These trees when leafed out provide a screen which keeps the barn hidden from the rest of the property. 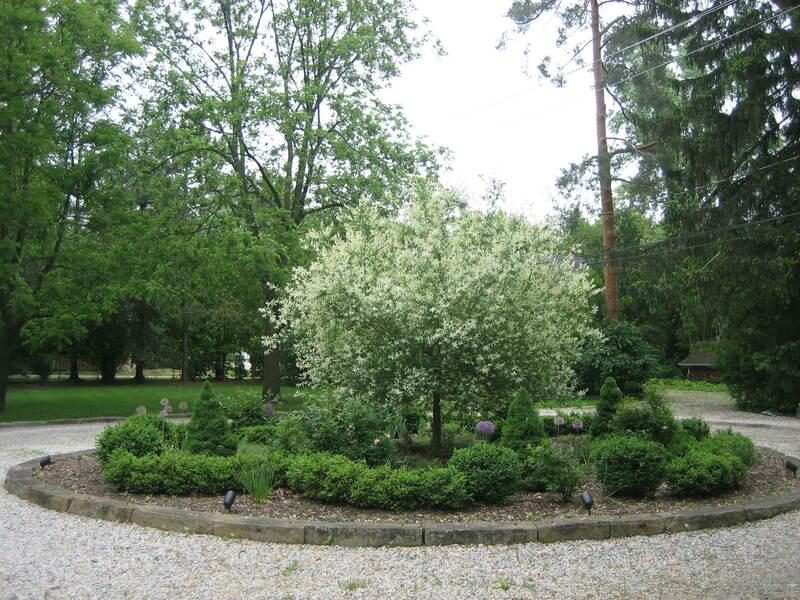 Other trees edge the circular drive, the drive which surrounds the herb garden found in its middle. 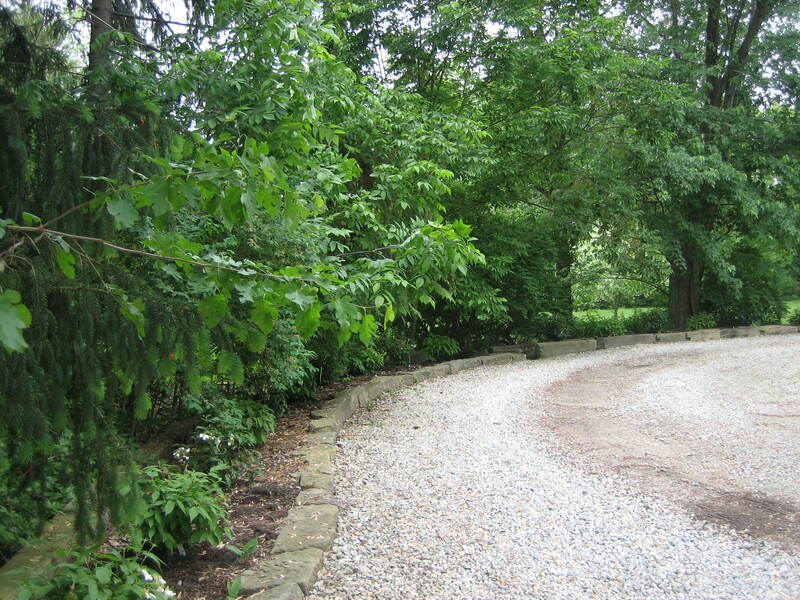 The trees also help keep the secret garden behind them a real secret. 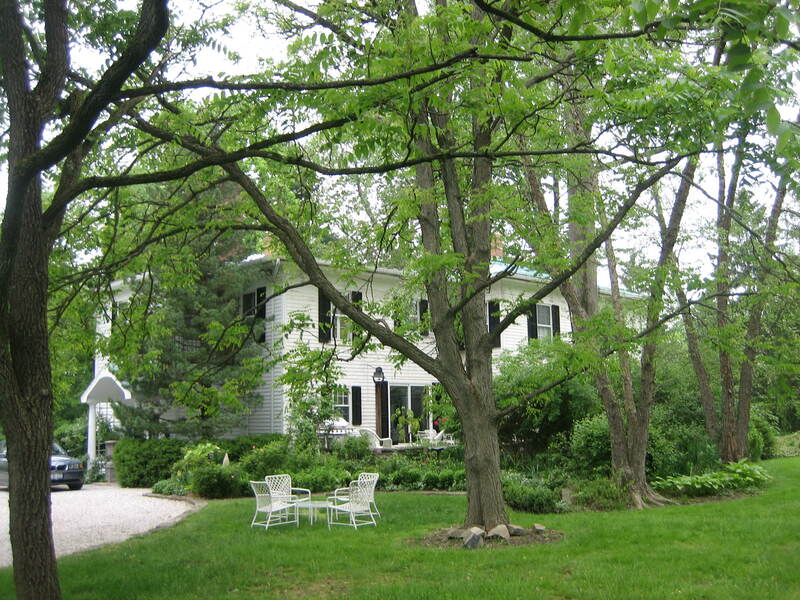 The early owners of this 1853 property (the first being Jeremiah Brown, brother of John Brown , the abolitionist) obviously loved trees and people for they planted all sorts of trees in all sorts of places. 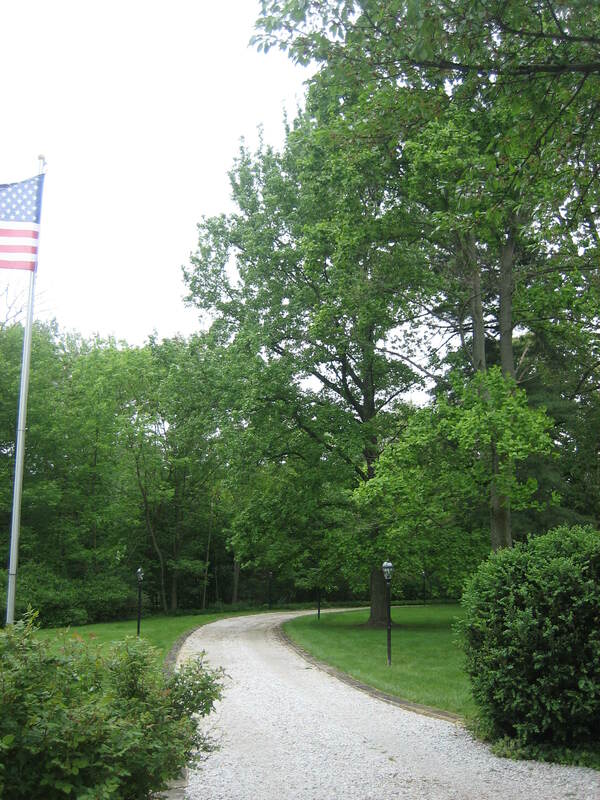 In the picture below you see black walnut trees at the edge of the driveway and you don’t want to sit below these trees nor park your car under them when their nuts begin to fall. They fall with conviction. Closer to the house there are two river birch. They do well there because it’s a low area and rather wet. And when Spring arrives and the leaves of all the trees begin to form, it’s like magic! – hundreds of tiny specks materializing before our eyes. If you were to try to paint a picture with such detail you would realize just how wonderful and artful trees really are. Then Summer comes and trees are in their full glory. 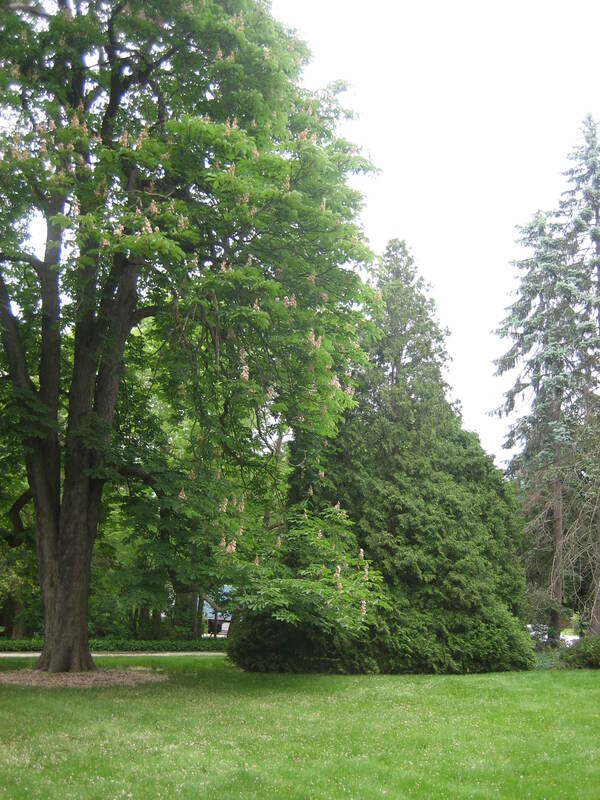 When I first set my eyes on this property I thought it looked a lot like an arboretum. 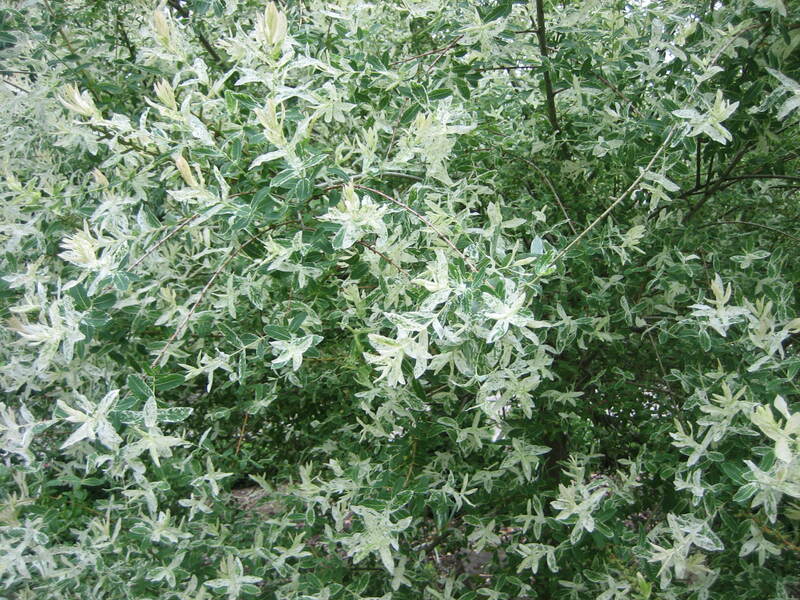 So many different kinds of trees Some are very big and others are quite small like the fringe tree. 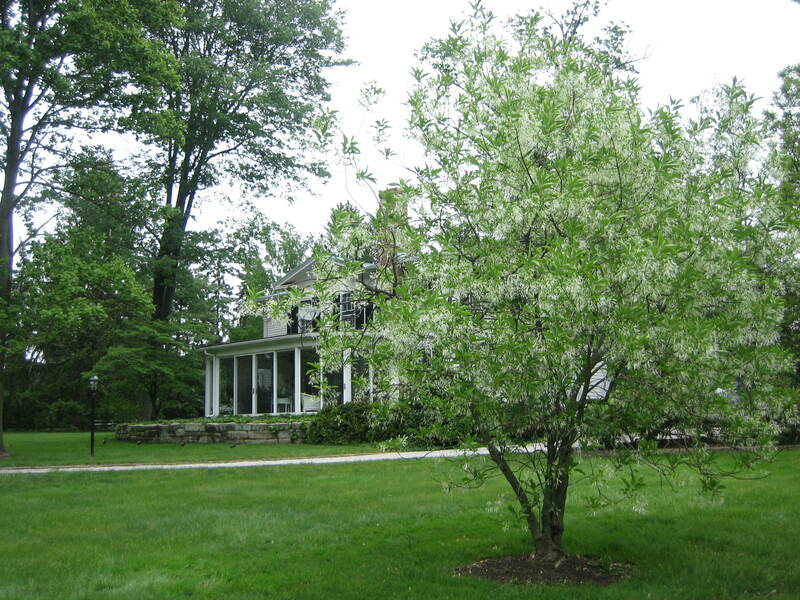 And it only seems right that we add more trees of our own to this property, so after seeing a dwarf Japanese willow at a friend’s garden with its very white leaves which only gradually turn to green, it was decided to make this tree the centerpiece of the inn herb garden. Maturity has value in people and in gardens. It’s worth a lot. 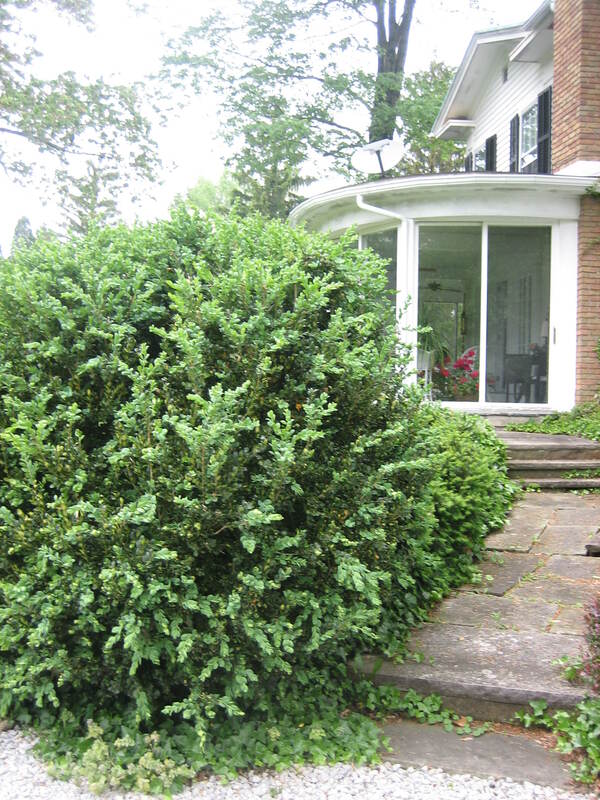 I was pricing small boxwood plants recently and was amazed at their prices. $40 would only buy a very small plant. I therefore couldn’t help but wonder how much one of the inn’s 5 to 6 foot boxwood plants would summon if they could be transplanted. What an enchanting place to live! Do you ever host picnics on the lawn? Well, I haven’t had picnics on the lawn yet, but we do have barbecues and dinner parties on the patio. I have been having teas on the lawn, on the patio, in the outdoor trellis room and in the secret garden. I just LOVE to have afternoon teas. I had a tea today, but today’s tea was on the porch. Wish you could come to one of my teas. At least you can join me at tea via my posts. This will be my 3rd year and it’s a great opportunity to “meet” new people and read new blogs. Great way to build community and let more people know about your book! I’ll look into it. Thank you!